Tarte Cosmetics is a brand I’d never heard of till fairly recently, in the past few years. I’d tried a few of their items and I must say that I do like their shadows very much. I don’t talk about them (I don’t know why!) but the quality is good, and their palettes always grab my attention. The texture is very soft however, and I am always on tenterhooks whenever I have them shipped to me, because I’m afraid of breakage (happened to me once). You read it right folks! As of now, I have no idea where to get Tarte Cosmetics outside of the USA and especially not in Malaysia. I have accumulated a few of these Tarte Amazonian Clay Long Wearing Blushes by now, but this particular one in Natural Beauty is a favourite. 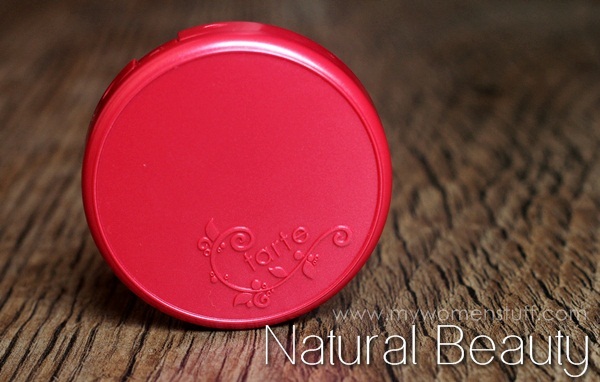 The colour of the case reflects the colour of the blush and as you might expect, its a pretty bright red! It does however, live up to its name of Natural Beauty so although it is very bright, it is very easy to wear. The Tarte Amazonian Clay blushes are formulated with Amazonian Clay for longer lasting power on all skin, even oily skinned types. It not only absorb oil so it stays put for oily skin, but also hydrates dry skin so it doesn’t apply patchily. Tarte promises that this blush wears longer than normal powder blushes. That pattern on the surface of the blush is a reflection of the Amazon river and the rainforest. The colour of the blush is, as you can see, reflective of the colour of the case. All the blushes are the same so it is very easy to identify in your drawer. Some days, when I’m in a rush, I actually find myself reaching for these blushes more than others, simply because I can easily identify the colour from the case. The colour is a watermelon red with slightly cool tones. It, at first glance, looks like a hard colour to wear, and if you use a dense brush, or a heavy hand, it will be. However, if you use a brush that is slightly looser and softer (I use my Lunasol Cheek Brush or Cle de Peau cheek brush) the colour will diffuse better on skin. I’ve never had problems with application and I attribute it to the brush as much as I do to the product. In terms of longevity, I find that it does last longer than most blushes. If you wear a primer, it will look fresh for pretty much all day. The primary reason I love Natural Beauty, is because it gives me a very lovely pop of colour on cheeks, that makes me think “Just came in from the cold”. 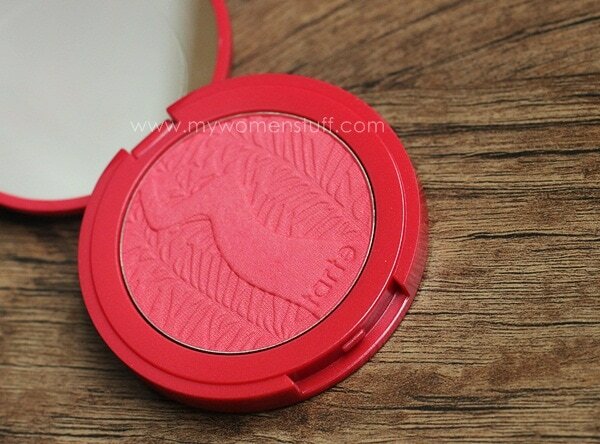 The Tarte Amazonian Clay Blush in Natural Beauty is to me, just that. Although a deep watermelon red in pan, it applies on my skin a very pretty fresh flush that looks natural and can be layered for intensity, or used with a light hand for a light flush. I believe the colour will quite easily suit most skin tones. As for the longevity it claims, I have experienced good wear time with this blush. I really do think this lives up to its hype! I have a couple more of these blushes (Tipsy – coral and Amused – bright pink), which I’ll try to review if anyone’s interested. I am quite a fan of Tarte; everything I’ve tried from them so far have worked well for me, so it would be nice if it was easier to source online so I didn’t have to bug my friend every time I hanker after an item 🙂 If anyone knows of an online store that will ship Tarte products internationally, please do share! Have you tried any of the Tarte Amazonian Clay blushes? Any colour I should try? Or have you tried anything from Tarte Cosmetics that you think I should to? PREVIOUS POST: Canvas Tote Bags Printed with Famous Bags: Inspired or just Tired? Thank you Hanny! 😀 I think I might have come across some online stores too but when I saw the prices quoted, I chose to ignore it. 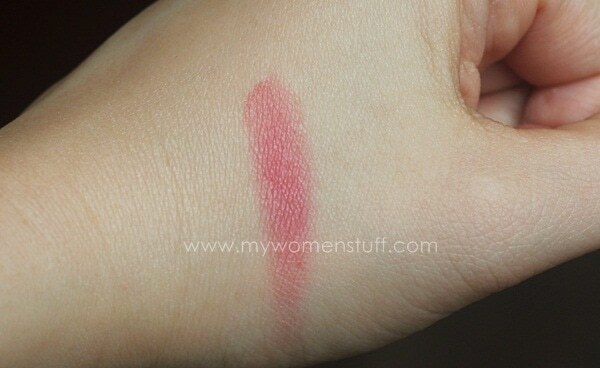 I’m not prepared to pay over RM100 for this blush, no matter how good it is! I remember your Tarte Jewelry Box and like yours, my old palettes are doing very well too. I’ve got the one called Exposed. It’s a beautiful blush I reach for a lot. Wow! That’s lovely on you my dearie Paris! This on you is the matte version right? Thank you AnT! Yes, this is matte. There is a shimmer version but I just realised I never picked up any of the shimmer ones LOL! I do wish Sephora would bring in this brand. I think its got really good stuff. Thank you thank you thank you! ~muacks~!! Have you tried their matte Lip Tint? Skinvigorating benefits~! No mineral oil, no SLS, OH MY! This looks good! Haha nope, haven’t tried that either >.< Wish they'd do international shipping too! I have not been excited about blush for some times till I saw this post! Maybe it’s because I don’t own one in this amazing colour :-)))) Thanks for the post! I recently got my hands on Exposed. I really like it, texture is soft and staying power is good. I intend to get Glisten and Dollface next. I tried their gloss sometime back but that didn’t do much for me. What a gorgeous colour! I’m way too attracted the the scary looking blush colours lol. I’ve wanted to try these blushes out for so long, but they are so difficult to get in Australia, hopefully I’ll get my hands on this one in particular soon! Looks like both these colours are popular faves! So many readers have mentioned Exposed! You look like Snow White!!! I love how much it complements your lip color. I’ve never tried tarte but I want to see them in person and play with all the colors. I’m really intrigued by the eyeshadow palettes, too! Thanks Peach! The next time you head to the USA, you can find Tarte in the Sephora stores there. I really do wish it was brand that was more easily available outside of the USA though. I find very interesting Tarte products, but as you said they aren’t sold in many countries including Mexico so I haven’t tried them, someday I’ll do it. Someday, Efrain 🙂 Its a pity about the brand being so inaccessible outside of the USA. Don’t they realise the world is getting smaller? I’ve seen Tarte somewhere, just can’t remember where! I thought it was Sephora in SG, but it could have been Melbourne. Pretty! I’ve been wanting to try out this blush for so long, after reading so many rave reviews. Even if we do get Tarte here in Malaysia eventually, I’m sure the prices will be exorbitant. I’m still (im)patiently waiting for NARS to reach our shores. Sigh. Love the color on you, by the way. Also, what lipstick/lipgloss are you wearing in that picture? This has prompted me to open my one. =P I got it in Blissful. LOL! Yes yes, do use it! I think its really a lovely blush! These Tarte blushes last the longest on me. 😀 Love! i tried Tarte back when I was in Bangkok and the girls I travelled with brought theirs for me to try. I think I tried Tipsy and that’s a beautiful peachy shade. Oh Tarte is one of my favorite brands. Though it is unavailable here in Turkey, one or two bloggers buy them here.. It’s a bit pricey for me so I usually ask my cousin to bring me a few things. Before amazonian blush, Tarte was famous with their cheek stain. My cheek stain is Natural Beauty which is the same color here but it is hard for me to use on my lovely deariest oily skin(!) so I asked for Amazonian clay blush in Glisten. It is such a perfect color (coral with golden shimmers) and I used it whole summer. Tarte is a very good brand and their product’s quality is more than OK, so I wish they could be accessable worldwide as soon as possible. Ooh lucky you to have a cousin shop for you Casey! 😉 Its great to know that you like the items from the brand too 😀 I haven’t tried the famous Cheek Stain, but I never really had much luck with stick blushes so I chose not to get that. Glisten is such a pretty colour! I was eyeing it, but I”m not sure why I didn’t get it. Hmm… I too wish they were more easily accessible worldwide. They could be like Benefit and ship directly from their online store and that would be awesome! Isn’t sephora online doing that?!?! I’m in love with Tarte! Just wish is was easier to get my hands on them. I currently own Blissful, Exposed and Dollface. Also their bronzer which I have yet to open. 😛 Their eyeshadows are also amazing! Their lipgloss so-so. You look great in the photo! 😉 Still wondering whether I can pull of this colour though. Thank you 😀 Like you, I love their blushes and shadows but their lip products that I’ve tried are meh. I tried the lip crayon and wasn’t terribly impressed. I think you picked up 3 of the most popular shades available – every reader who loves the blush seems to own at least one of them (but I strangely don’t! LOL!) I wish it was easier to get too!